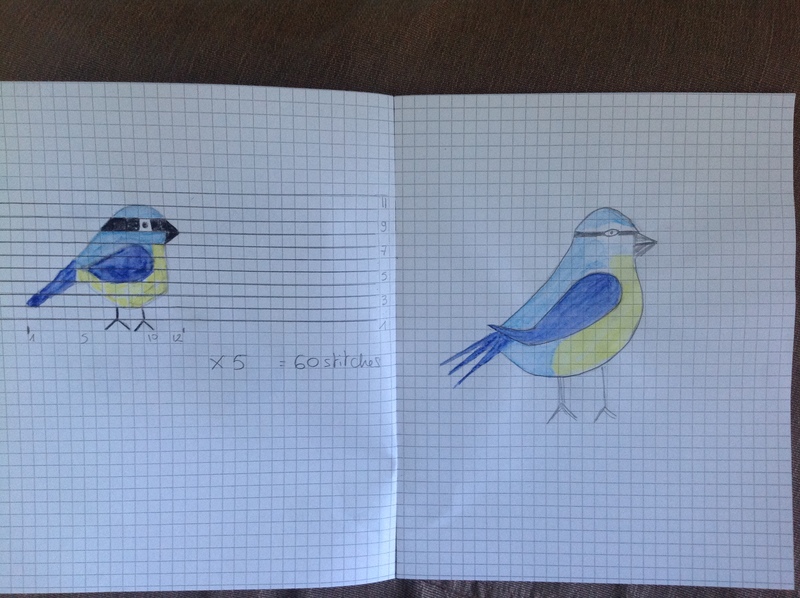 Then I tried to simplify the bird, in order to translate it into a pattern chart. I’m not there yet. I’m still learning to draw in squares. Everything I draw in charts looks like a character out of an old packman video game! 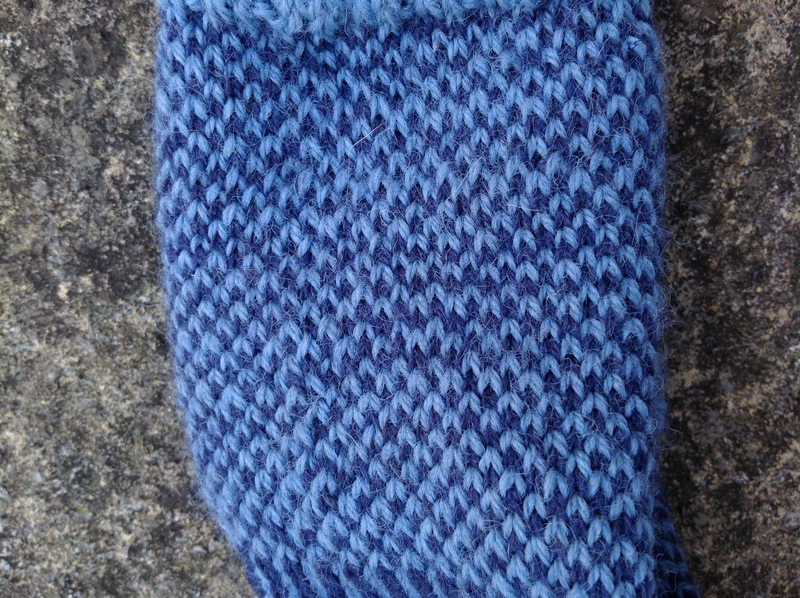 I’m knitting them for Thom, so he can wear warm woolly socks in his welly boots this winter. The wool I used comes from the sheep at my local biodynamic farm. 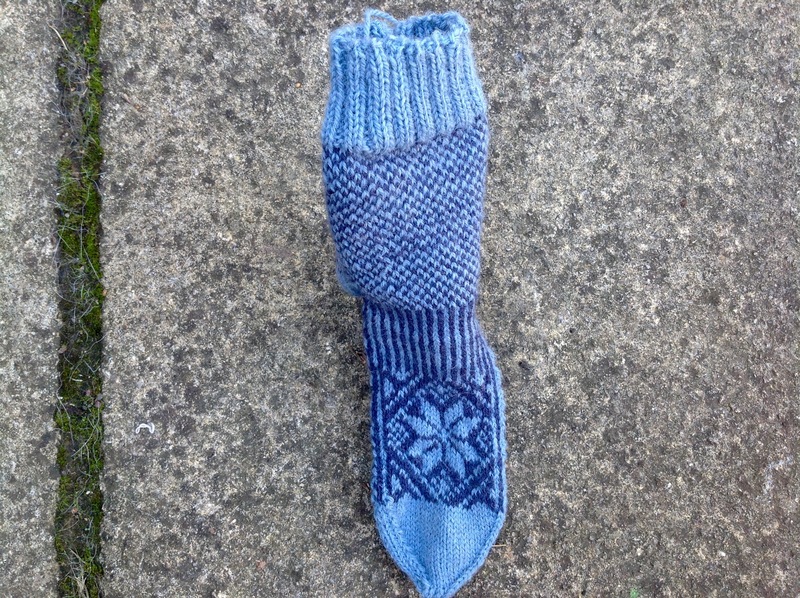 So my new mission this week is to knit friends for the few lone socks I’m now left with after all my experiments. 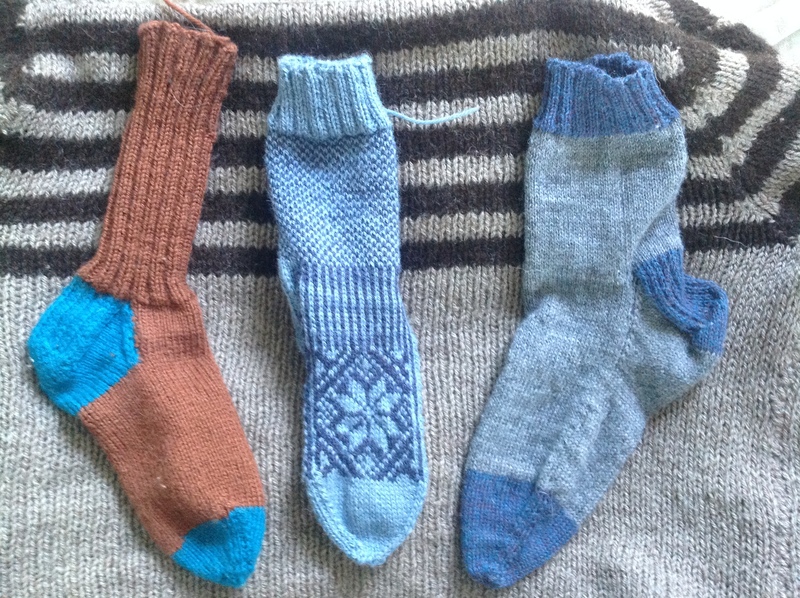 The two on the left are for Thom, the one on the right is for Paul. 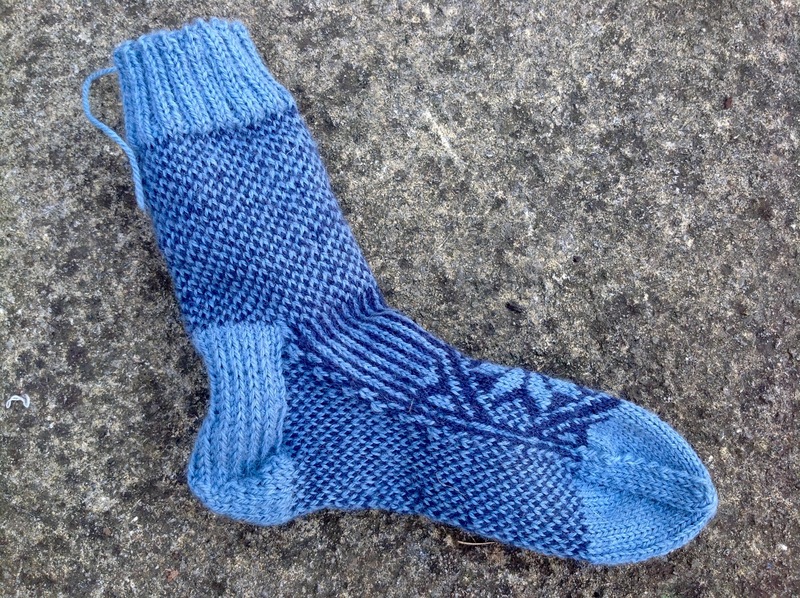 I’m giving up on commercial sock yarn for the time being as I find them very disappointing. Pure local wool is my favourite by far. 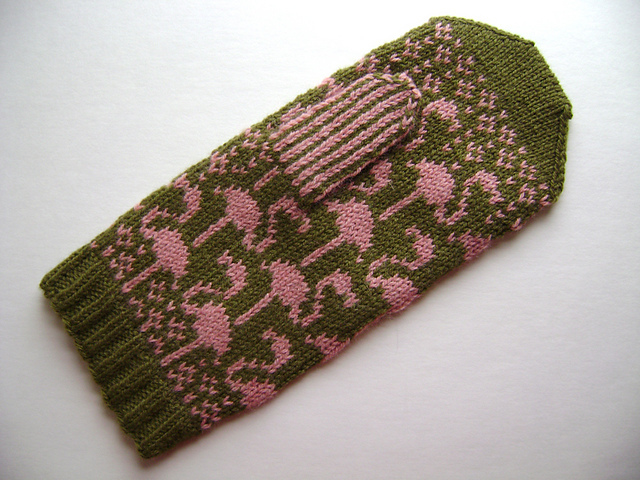 Photo: Spilly Jane (Find her on Ravelry here). You know what I’m going to say!! LOL. I LOVE YOUR SOCKS!! The blue snowflake is such a pretty blue!!! I too love your socks, and I don’t mind wearing odd ones. You are so clever and creative. 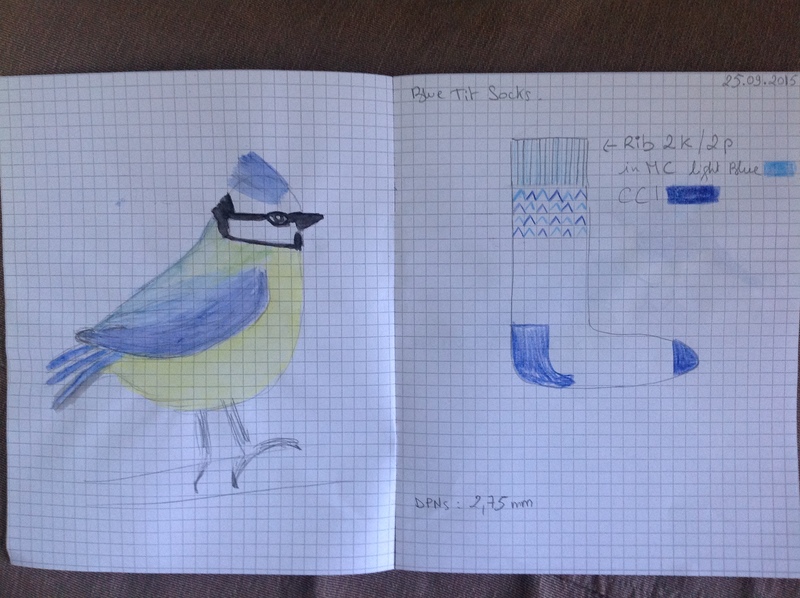 I love the idea of bird-inspired socks! Our little native garden birds are actually really colourful when you take the time to look at them. 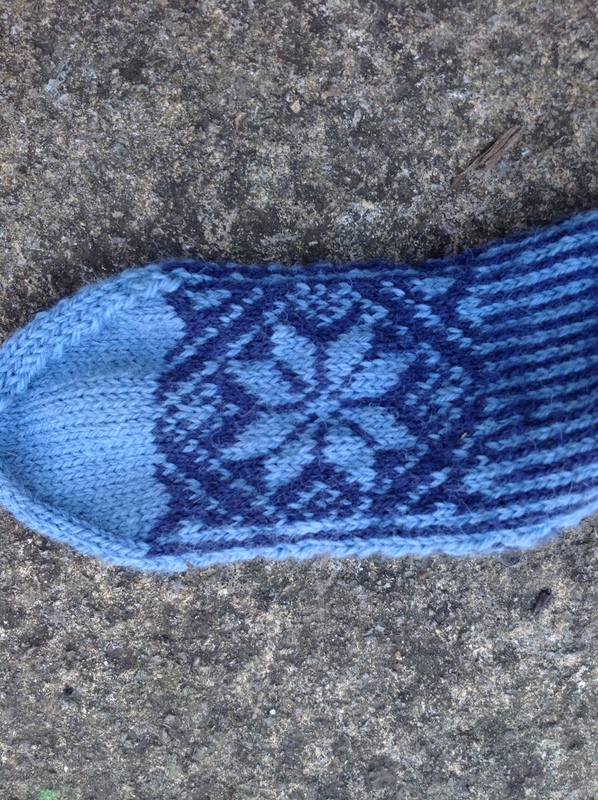 And your snowflake socks look so toasty… Gorgeous!